Overview of high power, heavy duty linear range of semi-automatic bobbin and transformer winding machines with computer control. The E-300 is a compact one spindle floor standing coil winding machine with colour touch screen CNC, powerful servomotor spindle drive. Speed ranges up to 9,000 rpm may be selected to allow fast winding with small wires whilst providing higher torque for heavy wires. 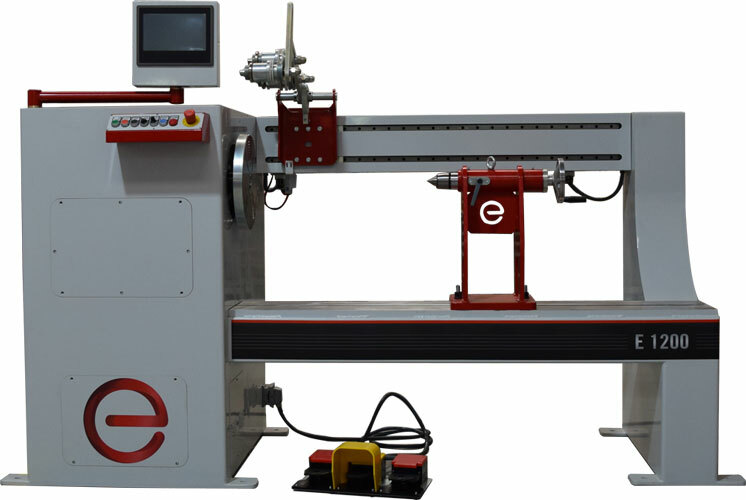 The E-600 is a compact one spindle floor standing coil winding machine with colour touch screen CNC, powerful servomotor spindle drive and synchronised guider system. A Compact machine whilst providing high torque for heavy wires. 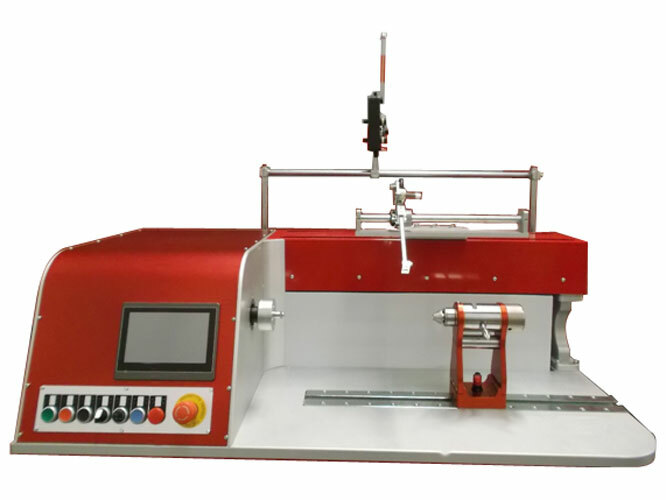 The E-900SGB is a compact one spindle floor standing coil winding machine with colour touch screen CNC, powerful servomotor spindle drive and four speed quick change gearbox. 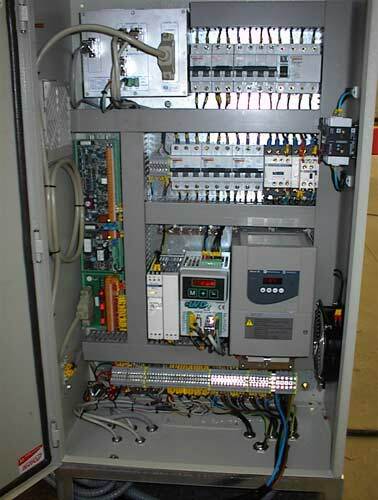 The applications of this machine include the manufacture of solenoids, inductors, and transformers, (with the ability to make multiple windings) and power distribution transformers, typically from 10 to 600 KVA. Speed ranges up to 3,000 rpm may be selected to allow fast winding with small wires whilst providing high torque for heavy wires. 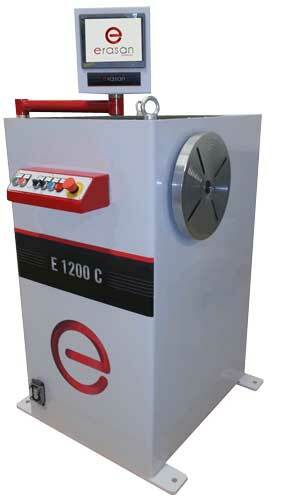 The E-1200 is a one spindle floor standing coil winding machine with asynchronous motor. 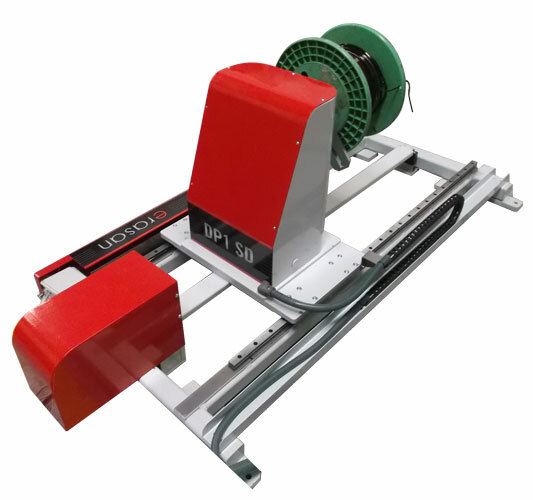 This machine is ideal for the manufacture of solenoids and power distribution transformers from 10 to 1,200 KVA, using aluminum or copper wires, including rectangular or flat wires with a special guider. The wide range of available speeds (up to 500 rpm) permits primary and secondary windings on the same machine, thus reducing production times. 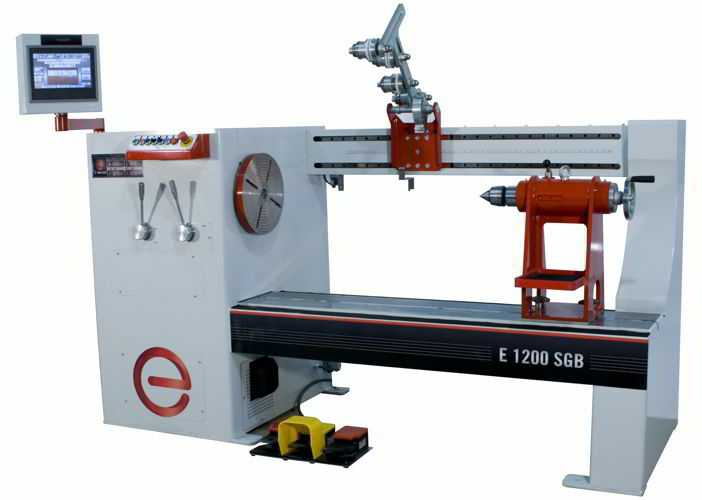 The E-1200 “SERVOTECH” is a state-of-the-art winding machine with highly advanced features, including an automatic gearbox, energy efficient servo motors, and intelligent torque boosting technology, colour touch screen CNC and variable ratio gearbox. This machine is ideally suited to the manufacture of large inductors, including power distribution transformers from 10 to 2000 KVA, using rectangular or flat aluminum or copper wires.. The wide range of available winding speeds, permits primary and secondary windings on the same machine, thus reducing production times. The E-1200SGB is a one spindle floor standing coil winding machine with high power servomotor drive (over 750Nm torque), colour touch screen CNC and variable ratio gearbox. This machine is ideally suited to the manufacture of large inductors, including power distribution transformers from 10 to 2000 KVA, using rectangular or flat aluminum or copper wires. 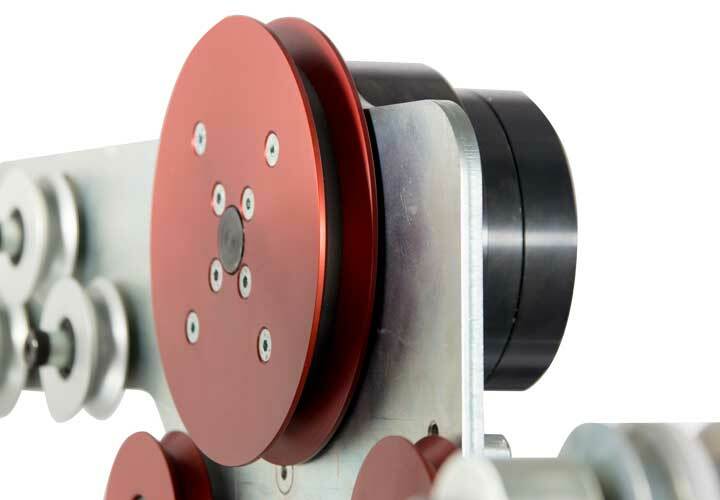 The wide range of available winding speeds (up to 500 rpm) permits primary and secondary windings on the same machine, thus reducing production times. 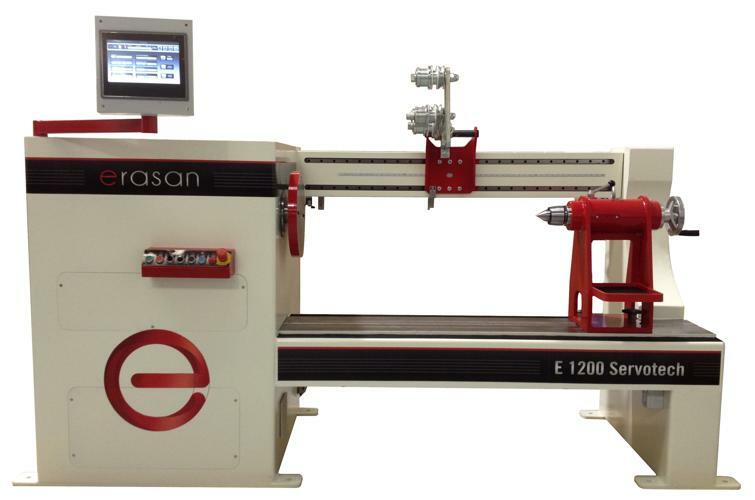 The E-1200CSGB is a one spindle floor standing coil winding machine with faceplate only. The machine consists of a headstock with speed change, face plate, and foot pedal. 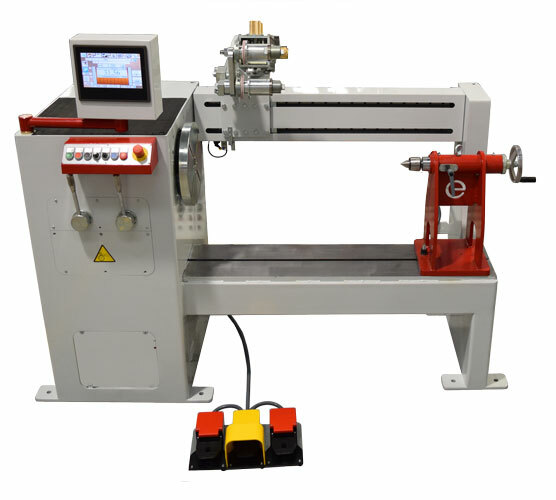 This machine is designed for applications where a bench and guiding system is not required, for example, winding pancake coils, typically using rectangular or flat wires in aluminum or copper. This coil winding machine is specially designed for the manufacture of solenoids and power and distribution transformers from 10 to 1,200 KVA, using aluminum or copper wires, including rectangular or flat wires with a special guider. The E-2500 is a large scale one spindle floor standing coil winding machine with asynchronous motor and a bed length of 2,500mm. It is specially designed for winding large inductors, e.g. large rotor coils for use in the wind turbine industry using aluminum or copper wires, including rectangular or flat wires with a special guider. The layout and design of the winding machine facilitates the placement of ancillary material such as end-fillers, insulation paper and foil. BOBIFIL rebuild programmer. Why not give your old Bobifil coil winding machine a new lease of life with a comprehensive rebuild, including our sophisticated CNC with colour touch screen? 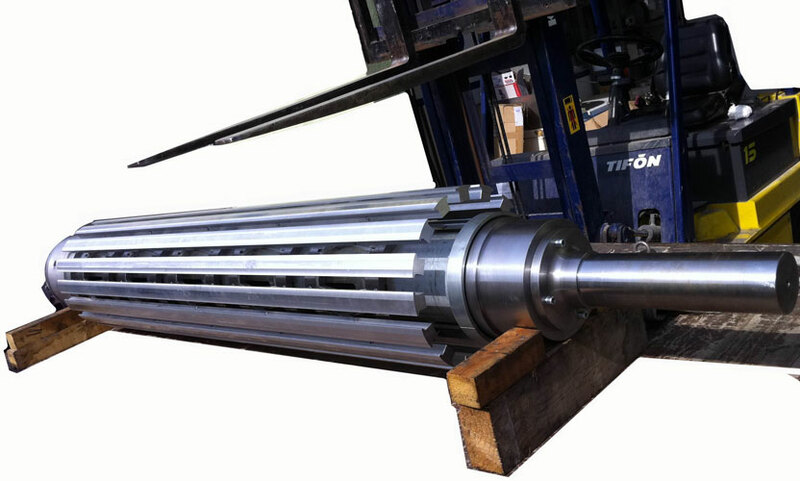 With over 60 restored Bobifil coil winding machines already delivered to satisfied clients, there’s no-one better qualified than us to carry out this work. The TH3 is a vertical payoff style heavy duty wire tensioner. stand alone with seperate control box to suit any winding machine on the market. Suitable for wires 0.5 to 3mm in diameter. The high tensions required for winding heavy wires can cause damage to the insulation layer. Our profile wire tensioners protect the insulation layer by applying a braking force to the wire supply spool instead of the wire itself. Each spool has a separate hydraulic disc brake, with a pneumatic control of the wire tension. 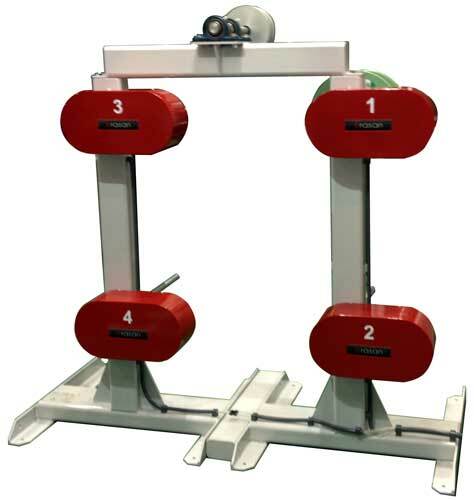 1, 2, 4 and 32 spool standard versions are available, or we can build to customer requirement. The torque to the winding axis is monitored and the reverse torque to driven de-coiler is controlled according to the required tension. The operator can program a digital tension value that is measured and kept constant during the winding cycle.. 1, 2, 4 and 32 spool standard versions are available, The control system can be part of the main winding machine software, or stand alone with seperate control box to suit any winding machine on the market. 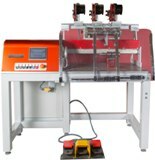 The Erasan range of heavy duty coil winding machines require a wire guiding system suitable for the product to be wound. Many factors influence the choice of guide head, including wire size, wire type, profile, and material. 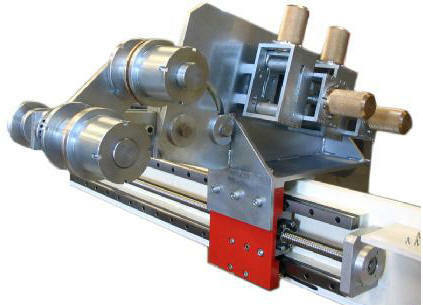 Shown here is the multi profile wire guider, ideal for packet winding.